While everyone wants to be the first to discover the next big company, to be the one to discover the next Facebook or Twitter, oftentimes the major technological shifts are coming from the big companies, the players that have been on the scene for years, if not decades. Those companies have survived because they know how to pivot, and they are the ones getting ready for the next waves. In this column we talk to those companies and their innovators who are preparing them for what's coming. Adobe has been on the forefront of this revolution, and recently took a big step toward expanding those capabilites by announcing in May that it had acquired Magento Commerce for $1.68 billion. At the time, the company said it would be adding Magento Commerce Cloud into the Adobe Experience Cloud, "delivering a single platform that serves both B2B and B2C customers globally." Earlier this week, Adobe revealed some of those integrations, as well as some new products that it was debuting in conjunction with Magento. I spoke with Loni Stark, Senior Director Strategy and Product Marketing at Adobe, and Peter Sheldon, Senior Director of Strategy at Magento, about the acquisition, the evolution of marketing and where they see it going next. VatorNews: Tell me a little about yourselves. Loni Stark: I head up Adobe Experience Manager and Target business for Experience Cloud. It’s the part of the business that looks at the content and experiences that companies want to be able to deliver and personalize. I’ve been focused in this area for the last 18 years. Peter Sheldon: I’m Senior Director of Commerce at Magento. I recently joined Adobe through the Magento acquisition; I’ve been with Magento for almost three years, and I’ve been intimately involved with the growth of Magento over that time. Prior to that, I spent five years with Forrester Research as an analytics cover the commerce technology space. VN: Marketers now have so much more data thanks to advances in technology, such as artificial intelligence and machine learning. What are some of the things that have changed in marketing from five years ago? LS: AI and machine learning. I think a few years ago you might have had some of the tools but you didn’t have the benefit of being able to use ML and AI to help personalize at scale. One of the first changes that has happened with marketing is just consumer expectations and customer expectations around how much personalization and relevant content experiences that brands need to deliver in order to acquire them as a customer and drive that loyalty. We use machine learning and AI to find the patterns of customer insights quickly. That just wasn’t possible years ago. You might have had some ways of getting the data but now we can really drive these insights. We just announced in our Analytics solution this idea of even greater AI assistants surfacing those insights. Another example is around being able to personalize the content, and there are now capabilities that allow you to use machine learning and AI to not only get context from the customer, but also the different ways to optimize that content, depending on the channel and the surface that you’re trying to present that content in. An example of that is smart crop, which doesn’t just do dumb renditions, but allows the machine learning and AI to find the focal point and really help to optimize images that for that particular format. So there are ways of scale that you’re able to do that you just can’t get to that level of personalization with people alone. PS: That was a great overview. From the perspective of brands and retailers, if we switch a little bit from core marketing to the e-commerce plans, and sometimes we refer to this more as 'merchandising' than marketing, I think what we’ve seen across the board with brands and retailers is a big investment in commerce from a technology investment perspective. Large budgets are often part of a broader digital transformation strategy, often integrating online and offline, so really investing in omni-channel. Making sure that consumers who are engaged through digital platforms are able to interact with inventory and stock that may exist in physical location. We’ve seen a lot of investment in marketing around making every experience shoppable, so you don’t necessarily need to be on an e-commerce site, you might be on Pinterest or Facebook or all types of digital channels, and they’re just able to make an instantaneous purchase, instant gratification, purchase then and there in context of where you are. Then, on the flip side, we’re seeing more and more brands and retailers really invest in high fidelity buying experiences for high consideration purchases. These can be vehicles, they can be furniture, they can be mattresses, things that, in the past, we would never have considered buying online that, today, through investments in marketing and creative, online is actually, in some ways, the preferred way of buying these high consideration purchases. It’s just a better experience than going through a traditional offline sales type environment. So those are some of the things we’re seeing from a commerce angle. VN: What was the strategic thinking behind Adobe's acquisition of Magento? LS: When Adobe looked at its portfolio, we knew we have leadership in content creation and marketing, advertising, analytics. All of that allows for companies to be able to understand customer insights behavior but then action upon it with content at the relevant moment. What this commerce acquisition really then allows us to do two things: one, bring it to a transaction, a conversion, and look at the post sale journey as well, and all of the insights, as well as the actions, are now capable with the Magento Commerce Cloud. Second is being able to provider a richer experience also for the SMB market as well. On the creative cloud side we have that SMB market digital experience. We’ve very focused on enterprise and mid-market and this now expands our portfolio to continue to also serve the SMB market. 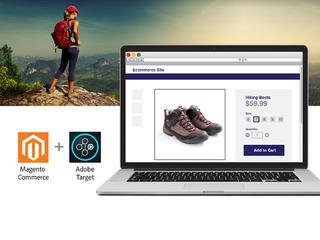 VN: How will Magento affect Adobe Marketing Cloud going forward? How will targeting small businesses be different than targeting enterprise customers? LS: I think it gives us a lot of new opportunity. I would say that Adobe’s a very diverse company, so we have SMB creative with our document cloud as well. This adds to this part of our business, the digital experience business. Peter, you may have some thoughts as well because you’re definitely more familiar with the SMB asset that Magento brings to the company as well. PS: Magento, over the last five years, has certainly gone up market year-over-year. So, if you look at the core install base of Magento clients they’re actually more mid-market as opposed to SMBs, but Magento will see significant assistance from Adobe expanding into the enterprise. It’s almost sort of like a two way street; for Magento, being part of the Adobe family now really will accelerate our growth into the enterprise, and, for Adobe, having Magento in their portfolio brings a lot of expertise with SMBs and mid-market. We have many hundreds of digital agencies, partners and merchants in the mid-market so we’ve very established. We’ve been there for many, many years and I think we can help Adobe. LS: This is really a synergy of technology, as Peter mentioned, but also really an opportunity around go to market and serving customers across that spectrum. VN: What are some of the products you plan to introduce in the coming year to target these new segments? LS: One of the biggest opportunities is some of the integration, so maybe it would be helpful to cover some of those because it’s not just products that we’re innovating on but helping customers more easily use our products in conjunction. I think it’s exciting some of the integrations we are announcing at the enterprise as well as the SMB level. At the enterprise level, being familiar with Experience Cloud, we’re really connecting three areas. One is, to Peter’s point about this idea that every experience can be a shoppable moment, we are announcing the integration of Magento to the Experience Manager, so that allows all the ways that enterprises can provide great experiences, they can hook it in to make sure that they’re shoppable as well. The other is around personalization, so our market leading, industry analyst leading product Adobe Target and being able to ensure all of the things you can do around personalization in the Experience Cloud can now be forwarded to all shoppable experiences with Magento. Finally, I mentioned the machine learning and AI with Adobe Sensei, and analytics allows you to get to predictive behavior. Based on what’s happening, how can you predictive what will happen in the future? So, it allows for companies that are creating these shoppable experiences with Magento to operate even more quickly because not only are they getting to real-time but now they’re getting to being able to predict what are the probabilities of certain behaviors, certain experiences and being able to action on them. So those are some of the things that are integrations at the enterprise level. Then with the mid-market, and now with the SMB and mid-market, there’s some great integrations that are going to deliver value to the customer. Peter do you want to cover those? PS: Again, it’s a little bit of two-way street when you think about integrations. We’re now able to import complex, multi-channel, commerce transactions in the context of an enterprise client using Adobe Experience Cloud that’s built with the digital brand experience using AEM and Target and Sensei Analytics. We now bring Magento into the fold to close the loop on the transactional piece. In the mid-market, or Magento’s core market, we’re really excited about the the ability to infuse in AI capabilities from Sensei, to able to infuse in personalization, targeting, analytics capabilities from Target and bring those modules to bear to more of the mid-market through Magento. So, it’s not necessarily about new products, it’s really about clever integration of the products to better support the use cases in both the mid-market and enterprise. VN: You’ve brought up personalization a lot. Customers seem to have two thoughts on that: they like have products catered to them, but they also don’t like feeling like they don’t have privacy. How do you strike that balance when it comes to personalization? That is an important part of it, but the other part you brought up, people want personalized experiences where it’s relevant. We actually did a survey of this at Adobe and what was really interesting was the takeaway from the last one was we found that over 60 percent of people said it’s really important. ‘There’s all this content coming at me, there’s all these experiences, I’m a busy person, I want brands to know me and deliver something of value that’s personalized.’ And then about 40 percent said that it’s so important to them that they would actually not do business with a brand that they felt was wasting their time and wasn’t giving them personalized experiences. So, I think the bar is already out there and part of the use of AI and machine learning, these capabilities are really to assist brands, marketers, merchandisers, to be able to meet that bar, or exceed it, around a personalized, relevant piece of content, experience or product recommendation. Our data shows that that’s what customers want. VN: Social is a big marketing opportunity. How do you take a customer's message and help them distribute on social? LS: One of the things that we have been really pushing and innovating on is this idea of fluid experiences and one thing about social marketing, a while back there was a hoopla around marketing that was a whole discussion around social and the effectiveness of social marketing. It was somehow, is it actually valuable or not? It was a controversial thing and it ultimately landed that social marketing is valuable, as long as it’s part of a overall strategy that takes into consideration all the different channels, things like that. It wasn’t anything mind blowing but it was this idea that it’s not just about publishing to your social channels but to all your different channels and having that conversation with a customer wherever they are. The other thing we help brands with is think about user generated content. This is an area where how do you not only create your own stuff, and Coca Cola is an example of that, where they were marketing 'Share a Coke.' It’s all about this idea of co-creating, call it 'experiencing,' the Coke experience and also the content around it. The opportunity is definitely there, both for social validation and for connecting with consumers and customers across the channels, but we really see it as an omnichannel strategy, as Peter highlighted earlier. VN: What is your social media marketing strategy for your brand customers or SMB clients? Peter this seems like a question that's more for you. PS: I think we have to broaden the conversation beyond just social to be social and marketplaces. For a lot of SMBs, the way that they get reach is actually to leverage marketplaces, like Amazon, Walmart, Jet, eBay and many others that exist in the other regions. And so, increasingly, when they think about their ad spend as a commerce vendor, in some ways it’s often more effective to spend those advertising dollars with Amazon promoting products on an Amazon marketplace, and driving incremental revenue through those other channels, where they’re actually recognizing sales, as opposed to just generating leads. So, a lot of SMBs now their marketplace strategy is perhaps more strategic to them than their social strategy and 50 percent or more of their total e-comm revenues come from marketplace sales, as opposed to their own dot com website. Then what we’re seeing is some of the social platforms start to build marketplaces. We’ve already seen that with Etsy and networks doing a number of things to experiment with their own marketplaces, where your social advertising in the Facebook feed actually becomes shoppable and you can buy things directly in the context of the feed, so technically they’re becoming a marketplace. So, we’re blurring the lines a little bit but I think, to circle back, a lot of SMBs, their focus is actually more on, ‘How do I get exposure through marketplaces and get my products and services on those marketplaces?’ more so than necessarily pure advertising spend on a social feed. 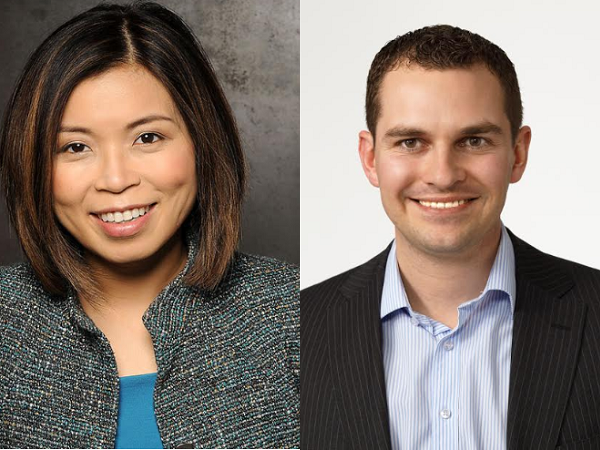 VN: Where do you see marketing evolving next? LS: I think we’re still grappling with omnichannel and AI and machine learning, so there’s a lot there as well because when I looked at the brands we work with, where marketing is involved, its not just the technology but the people and process. There is definitely just a point where we figure out the best ways to collaborate with machines with AI, things like that, so it really makes us more creative, more strategic, in how we think about marketing at scale and use AI and machine learning to allow us to scale personalization across all channels. The other is the evolution through customer experience. If you think about any company out there, there’s marketing, there’s support, there’s all of these other parts of the journey, and they need to start thinking about that entire journey. Even connecting more marketing to the rest of the organizations but also starting to think about how these tools can be used. An example of that is all the tools around marketing measurement, personalization. Guess what? We see it in companies where they say, ‘Hey, we need to have that mentality around our support documentation. Our support content.’ Totally unsexy sounding, but it’s a critical piece to what matters to the customer, and being able to think about how to make that engaging, how to be able to deliver it to all channels, how to be able to personalize, I think that part is really important. How does marketing become a foundation for a broader digital transformation around the customer experience? PS: I’d like to tackle this from the e-commerce space. I think there’s a few innovative areas. One is the continued focus on really improving mobile experiences, so for commerce we’re seeing a massive shift to transactions that are now occurring through mobile, so we see a big shift away from responsive websites over to progressive Web apps, making that mobile experience more engaging, faster, better for the consumer and better for the retailer. So a big, big focus on that. I think there’s a lot more opportunity for AI and machine learning for online retailers. It’s not just about all the things that Loni said earlier that we already do today, but more behind the scenes things were the merchants themselves can start using AI to drive efficiencies in their business, automate some of the merchandising decisions, automate the creation of pricing changes, offers, promotions, campaigns, determining what products should go on sale, which products to promote. That’s a huge time consuming, manual task for any merchant, whether they’re SMB or enterprise, and so being able to automate that with machine learning is a huge opportunity in the market. And then we continue to see just more innovation around what we would call ‘frictionless purchases,’ going back to this idea that every experience becomes shoppable. Everything from digital wallets to one-click checkout to voice-based conversational commerce, where we just make it really easy for someone to purchase a product to point where it’s almost an unconscious purchase and we remove all the friction. It’s a one-touch, voice command, one-click purchase. I think there’s a lot of innovation, we’re going to continue to see the online commerce channel take market share away from traditional physical brick and mortar, and, if anything, with some of the innovations around delivery that we’re seeing from Amazon, a lot of the traditional barriers that were there around e-commerce, taxes, shipping costs, shipping challenges, a lot of those barriers are being rapidly eroded. So we’re very bullish on the continued accelerated growth of the e-commerce channel. LS: I’ve been at Adobe for over 18 years and there’s a lot of innovation happening at Adobe, but the part that really excites me is what Adobe is uniquely able to delver into the world that only we can do. I think about two things: we have an incredible understanding of data, through the handling of 233 trillion transactions a year for our customers. So, understanding about data and what we can do with it. But the other part of it we have this deep understanding of content. In terms of all the things we do around creating experiences, but also the Creative Cloud with just how do you pull together great videos, images, etc? When I think about where the world’s going and what it takes for companies to deliver great experiences, whether they’re engaging experiences, shoppable experiences, brands really need that combination of data insights and then smart content to really be able to act upon it. So, the areas of machine learning and AI that I’m really excited about, which the smart researchers are delving into, is when the two are combined. So, bringing together those two deep understanding about content, data and now commerce together, that’s the piece that I think Adobe can uniquely deliver to all our customers across SMBs to enterprise.